Making money out of your career is something which all of us want in our life. There is nothing joyful than earning money from the favorite job we do. To earn money out of your hobby, there are few things which you need to concentrate to make your hobby as your professional career. Right from doing a research about its worth in the market to learning it completely, there is a lot of things to do on it. Getting cash out of your hobby is not so difficult if you try your maximum efforts on it. 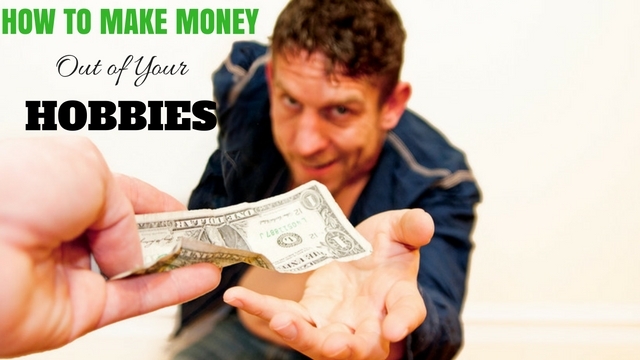 This post is all about how to make money out of your hobby and the best hobbies to make money. The following mentioned are few most effective ways to make money out of your hobby. This is the first most effective tip you need to work on. Try knowing the nooks and corner of your hobby. The more you master your hobby, you will get better understanding on how to proceed it. Look out for videos or any blogs which teaches your hobby better. If you are stable enough and have time, you can also go for its technical classes conducted around your city. Master the art to make it you career. For example, if gardening is your hobby there are many steps to master it. The first step would be practicing gardening in more spaces. Then you can also learn gardening through videos, books and there are also various courses conducted about varieties of gardening and its creative ways to make money. So, either attend classes conducted around you or master it by doing it better. Even though this tip might take time, the best way is to start doing it. Becoming an expertise will not happen in a day but eventually when you start looking out for the better things in your hobby you will understand how to master it. Trust me, in the process of learning your hobby you might come cross people with same interest which will give you more options to do your hobby. Either you can come up with better ideas or you can also make a partnership deal from the same hobby person to do it as your career. So, start trying to become an expertise in your hobby. This is one of the best ways to make extra money. Market analysis is the key for any successful business. Do a small research about your hobby in the aspect of market. You might not know its demand in the market unless you try knowing it. For example, you might be good at socializing. And you love to do it. Do a market research on it. There are so many job in the market based socializing skills. Social media manager is one of the best options which helps people to create an account on social websites like facebook, twitter to reach their product. So, the more you do market research, the more you come up with better choices. Before stepping into anything, always make it a habit to plan your work. Planning is the effective skill to get a clear idea about your job. In the process of proceeding your hobby as your profession analyze your financial stability, how many hours in a day you could spend for your hobby, or your personal commitments before you decide to do it as your career. If your someone, who has many priorities financially, there is always a way of doing it as a part time. So, never give up your idea. Just plan it and spend your time on your hobby. 5. Freelancing will always help! Freelancing is one of the flexible way to do a job which you love. According to recent survey, most of the organizations especially new venture have started hiring many freelancers to do their job. So, if you are someone who have an hobby and wanted to do it as your profession do a thorough research about the different money making opportunities available in the market for your interest. Trying it out is the best way to get your dreams come true. So, do not hesitate look out for freelancing organizations or individuals who are in need of your profile. The word Internet will serve all your needs in finger tips at the maximum you expect. There are so many options available in internet to learn any thing under the sky. Some of the simple ways to earn cash or get money using your cool hobbies is blogging your thoughts about your hobby, or you can also video blog your hobby and earn money. There are many different ways to make money from internet like you can create a youtube channel for your hobby and earn money through advertisement, sponsorships and many more ways. Using Internet in a right way will help you to achieve your dream hobby as your career. So, start something soon using internet at its best. There are so many funding agencies who acts as an incubators to many small businesses running around the world. If you feel your hobby is worth getting attention from the world try approaching venture capitalists to invest in your ideas. Never lose hope, plan well and submit your ideas of monetizing your great hobbies. There will be some possible good outcomes of its worth. All you need is to design, plan monetizing money and then approach. For example, if you want to start a school for karate or any kind of skill you possess. Make yourself expertise in it, and design a proper plan to start a school and approach venture capitalists. This is a very easy step anybody can do to gain some attention about your hobby. Try your best to show case your talent to your friends, to your neighbors, or even your colleagues. There are so many possibilities that they might feel you can do it as a separate venture or they might even give you some idea about how to proceed further with your favorite hobby. For example, you are someone who is good in stand up comedy or any kind of performance artist the more you increase your audience you get better visibility to do it as a separate shows which is a hot business among the theater artists. There are many social media networks like Facebook, twitter, Instagram where you find huge crowd of people showcasing their talents. Upload your interests as pictures or videos. Join similar interests groups on the social media. You might get suggestions from the top most talents of your hobby. The more you reach out, the more your dream comes true. Yes, there might be days where your hobby might not have good visibility or better appreciation. The only thing the most successful people have done in common is never ever giving up in what ever they do. So, do not lose hope try your best to make it as your career choice. Interesting hobbies are always something which keeps our dream alive. And making your hobby as your profession is the best thing you can ever do to you. You need not change your hobby completely to make more money, all you need to do is make money out of your hobby. Keep looking out for opportunities and never give up. Hope this post helps you to know the best ways of make money out of your hobby.